Thanks to the creativity and the long-time experience of the designers, Ricamificio Paolo Italy is able to transform any existing subject into embroidery. 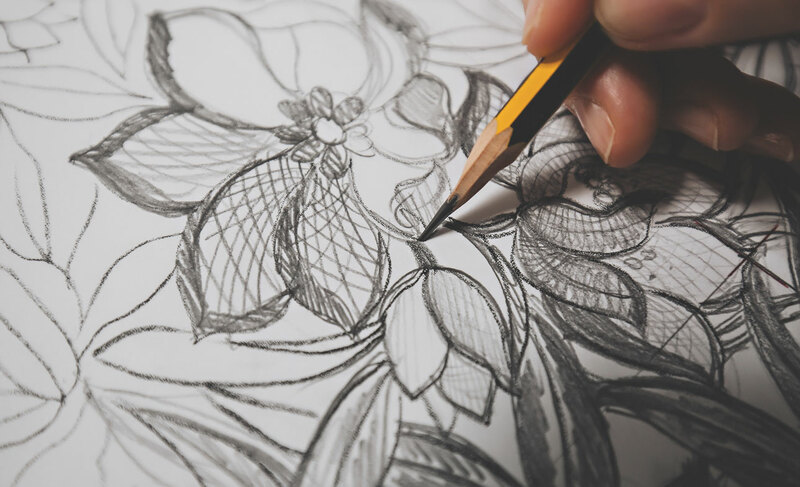 Once completed the research phase, that can be even inspired by sectors unrelated to the textile, the first step towards the realization of the embroidery is the creation of different manual sketches on paper. This will emphasize the different type of stitches, the light effects, the combination of the colors and of the inserted subjects. Then, through a feasibility analysis or a discussion with the client, the definitive sketch is chosen. Taking advantage of highly innovative software, the designer transfers the sketch from paper to digital, proceeding with the enlargement phase, which allows to see the drawing in its deepest details and to verify with high precision straight lines, curves and spaces. This is necessary as first input before the next phase, that is the punch phase. The puncher, thanks to the dedicated software, establishes the path and the type of stitch that the machinery will have to carry out, taking also in account the fabric and the type of yarn that will be used. 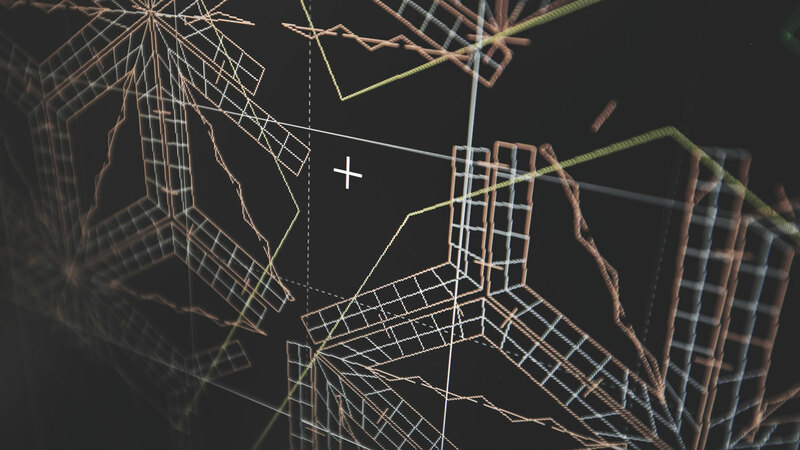 With the sophisticated EmStudio software and an optical fiber connection, the drawing is sent from the technical division to the machinery software, which collects the production data, that can be seen in any moment by the operator. Today, Ricamificio Paolo Italy counts 4 sampling machines (2 and 5 yards) to test the drawing and the color variants and to embroider the first meters that will be submitted to the client. Once the order is received, the 9 production machines (16 and 21 yards), 2 of which provided with a laser-cut system, guarantee an impeccable product in short time. Innovation and modernity are an essential part of the Ricamificio Paolo Italy philosophy, that takes advantage of a skilled staff who is constantly busy in the research of new yarns, embroidery effects and finishing techniques. Today, Ricamificio Paolo Italy uses cotton, wool, silk, treated polyester, lurex, and other special yarns, composed by a part of cashmere, ceramic and 24 carat gold. Also, thanks to the machineries’ latest generation software that oversees the fabric tension, Ricamificio Paolo Italy is able to work on the fabrics of all weights, such as satin, true leather, tulle, cashmere, georgette, silk voile, jersey, linen, denim. 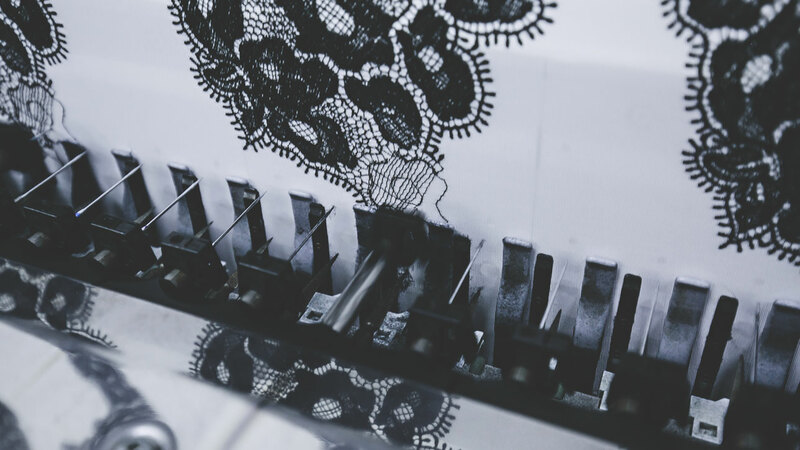 The machinery for the internal finishing allows the immediate verification of the embroidery prototype that will reflect the final product and exclusive deliveries to the client in terms of privacy and speed. The attention towards the environment is a fundamental and important stage for Ricamificio Paolo Italy, who praises since years aspiration systems connected to laser-cut and finishing machineries. These systems are constituted by bag filters and active carbon, which guarantee extremely monitored internal and external emissions. 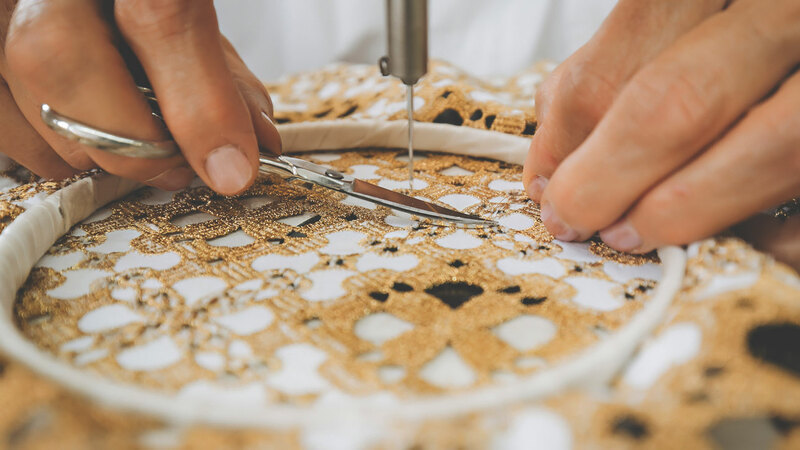 The skillful hand and the expert eye of the staff in this division guarantee the high quality of Ricamificio Paolo Italy’s products by verifying the perfection of the embroidered fabrics, before and after the finishing, and by carefully preparing the dispatch to the client.